Coats are usually fashioned with solid colored fabric for menswear. I’ve been observing more each year a trend to show bold prints or patterns to this basic of a wardrobe. 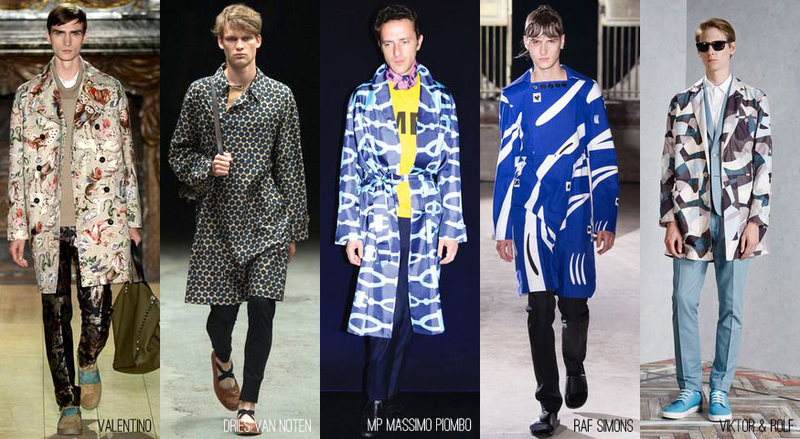 Here are some examples of what was shown at the Spring 2014 menswear runways.